hd00:08In flower shop on stand employee packs a stack of colored roses. On table are arranged portions of flowers prepared for transportation and sale of greenhouse workers. 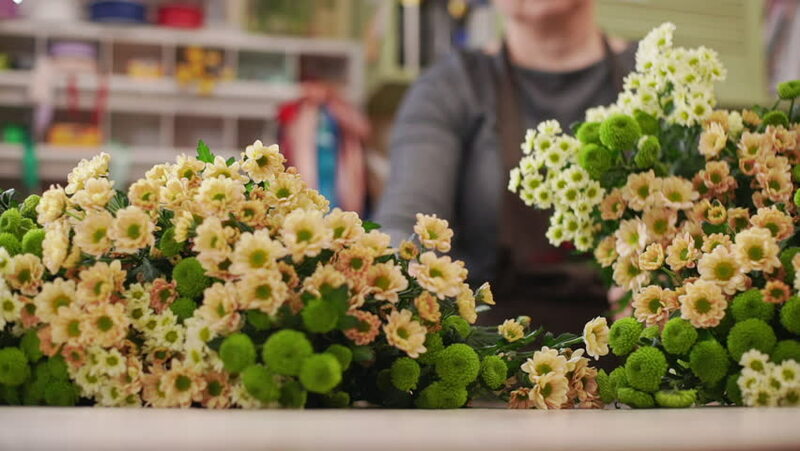 4k00:08Florist girl makes a bouquet in a flower salon, close-up.